An Action Hero wore the arrow and stood by the railing. The other Action Heroes went about dispersing testimonials in the form of letters. 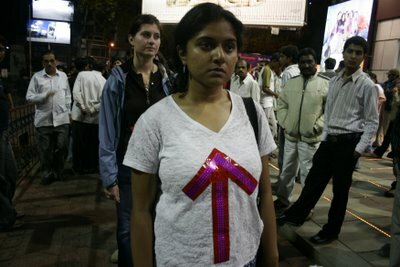 The receivers of letters were asked to identify the girl with an arrow and join her..
You will see me. I am the girl by the railings wearing a red arrow. If you know what it means take an arrow from me, wear it and stand with me. I will be around until 7 this evening. The arrow symbol definitely got the team some attention. Some responded but not too many actually joined us...moreNitesh( boy in mustard shirt) joined Kunal Ashok and began to distribute pamphlets. It was a mixed reaction from women passersby- while most ignored, the others chose to say, ' we are in a hurry'. 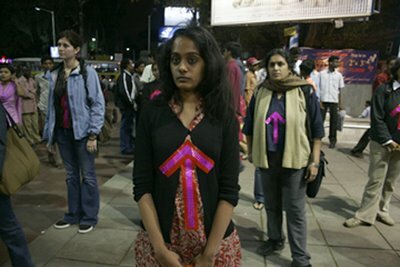 A woman is unlikely to stand on the road, look back at people in the eye and draw attention to herself, that's precisely why 'eve teasing' is ignored. I loved wearing the arrow. It was a pleasant change to be looked in the face (eventually). I really enjoyed this intervention and somehow wearing the arrow really helped me be in the "performance" mode and use my body as a statement better. I thought claiming space in front of mota arcade with a "follow the leader" plan rocked! 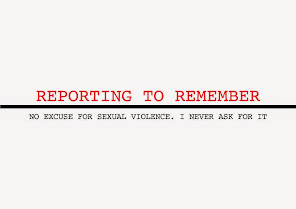 Really wish we do more of those. Maybe next time I'll be at the pamphlet/letter distributing end and see what insights I can gather from that perspective. It was also nice to see a decent number of girls turning up at events and encouraging people to join us and be part of BNP even if it was just for a minute was again a great idea which I hope to see repeated very often. All in all very very enjoyable. Next Bangalore event is on Jan 7th 2007! Bangalore Dec 10th: Calling Action Heroes! 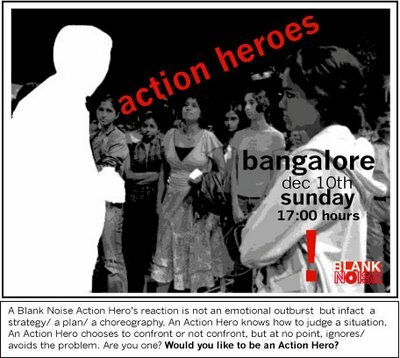 To be an Action Hero, please email us at blurtblanknoise@gmail.com, subject titled, ' Bangalore, Action Hero'. Hurry! 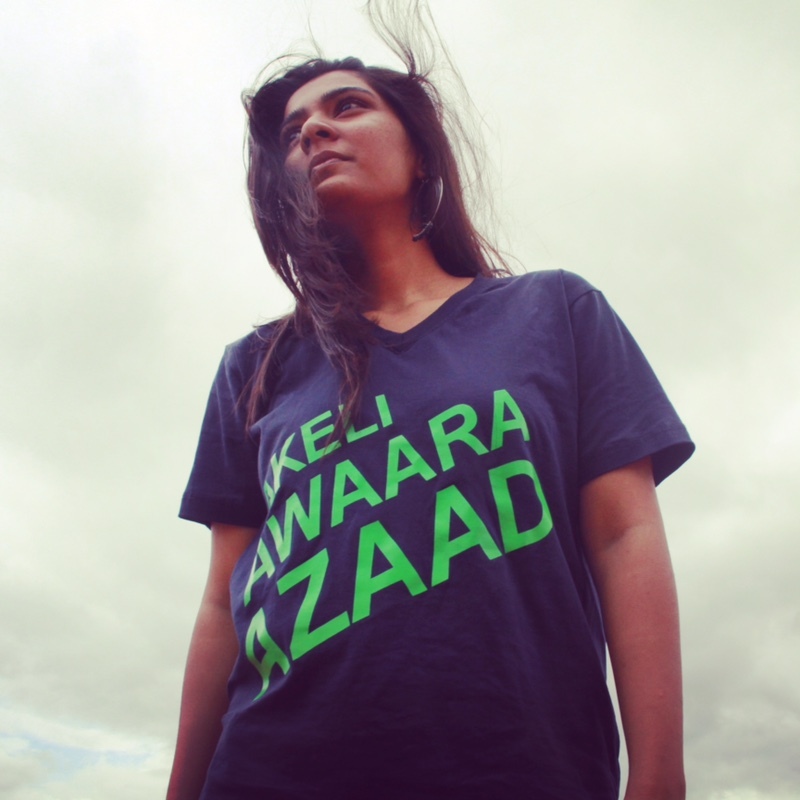 Read about Blank Noise Bangalore's recent street intervention here. To participate mail us at blurtblanknoise@gmail.com, subject titled ' action hero. mumbai'. 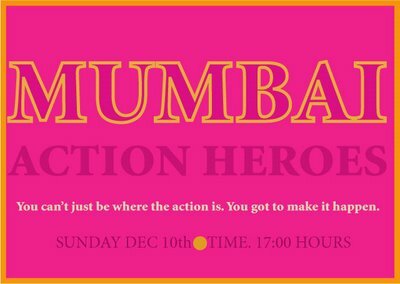 Mumbai's most recent public intervention can be read here. 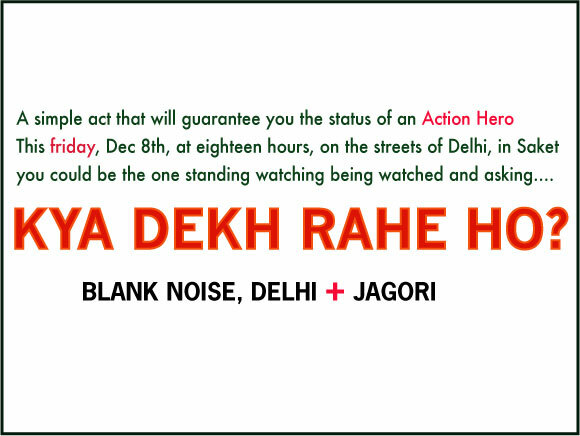 DELHI DEC 8th: Are the Action Heroes ready? 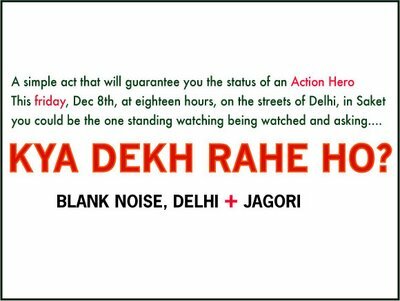 Jagori's safe delhi campaign has also made a short film, 'Staring hurts'. Andheri station at 5pm on a Sunday evening is packed. As crowds milled around, the six action heroes moved within the spaces outside the platform. What was first met with amused curiosity soon became the focus of attention within about 15 minutes. We started by spreading out across the space, with enough distance between each girl so as not to seem like a group. Then, everyone stood in a row, first on one side and then the other. 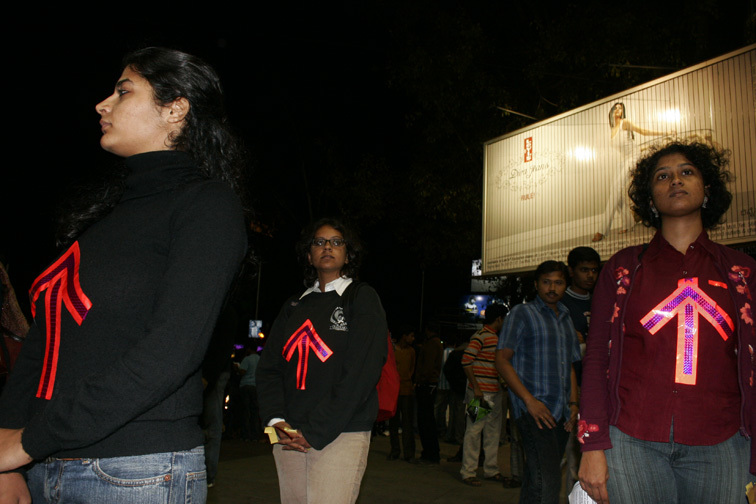 Gayatri handed out the first testimonial to a young man who stood outside an STD booth and stared at her for a while. He read it, made his calls and walked away. Nisha, Rajvi and Aurina gave the next ones to a group of four, who read it, did not look at the girls again and passed the testimonials around to other men. Sophie gave one to a man who stood across from her; he read it, came up to her, thanked her and left. As the girls experimented with the space, standing alone, all together and then in twos, men, alternatively, either looked away or stared back quite in disbelief. Before we left, after an hour, we distributed testimonials to the mute spectators. From the sidelines, I saw two boys walk past, and mutter - "What are the spice girls doing here?" They got a testimonial from me and walked away with shamefaced grins. 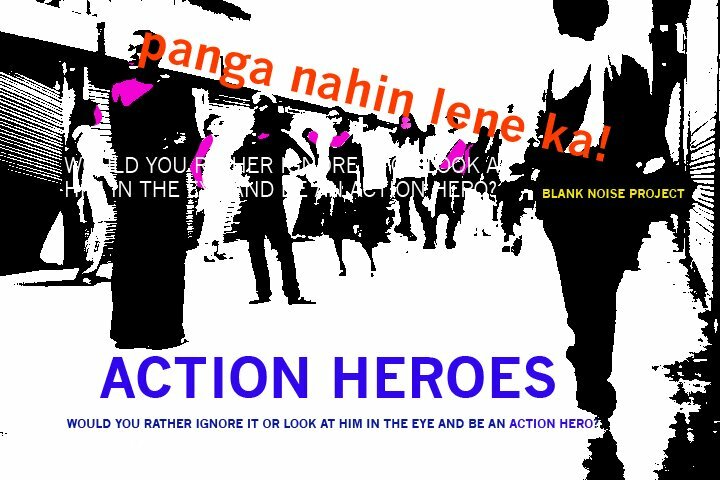 The 'spice girls', our action heroes, reclaimed Andheri station one teeming Sunday evening. And next week, we'll move to another public space. this was the 2nd time I participated. to tell you the truth i was pleasantly surprised. i am told and i know that men are slow to change and accept things. 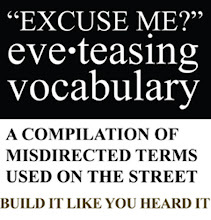 but men whom we gave the testimonials were reading it seriously. and were giving it a thought. this is a good thing. but i dont expect this to happen in deep suburbs. and definitely not in any other city. now if i ever want to stand in the premises of Andheri station, just like that, i think i will. well, i feel very empowered with every intervention of ours. but i feel that as we were all 'decently' dressed, we got a somewhat positive response (i cringe to use the word 'decent'). how people's reaction would be if we were in 'revealing' dresses (i cringe again) and standing just like that ? 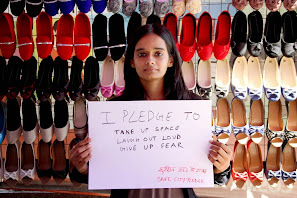 at andheri station, a spectator who read our testimonial asked what about the girls who wear 'revealing' clothes. i feel this kind of attitude needs to be tackled in our subsequent interventions. I was always taught that staring at people was bad manners. Needless to say, then, it took me a little while at the intervention to get into the groove of things. At first, I found myself reflexively looking away when a man caught my eye. 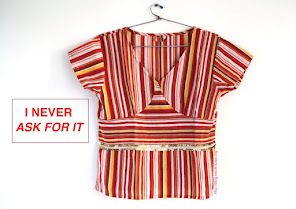 But once I got used to the concept, the feeling of empowerment was incredible. What I realised was that, true to the feminist axiom, it all just comes down to power. Once confronted with a reciprocal glare, I'd say 99% of the men cowered away, sometimes with sheepish grins, other times looking over their shoulders in disbelief to check if I was still staring at them. And I was. And I enjoyed it. And I want to continue to do this in my daily life, not just as part of a Blank Noise intervention. well, this was my first intervention and a unique experience indeed. it takes a little effort to tune oneself to actually stare back at the men. but, once you get used to the shift in the power equation, it feels good. i got this rush of courage, i dont know from where! may be because, we were all in a group. it was interesting to gauge the reactions of the men. some of them are very timid on the inside but show just the opposite on the outside. personally i have never been scared to give it back to men who were getting intimate with me without my consent. i have been dealing with this since my childhood. Sombody staring at me doesn't really affect me because i just don't pay attention on the other side maybe i'm stared at, because i'm a foreigner. But i can't take any intimate contact, whatever it might be, against my will. When this occurs i just slap or push and say that they dont have the right to touch me. i participated in the performance because men have to understand that they don't have to take women as merely an object of pleasure and that we do not enjoy their unchosen behaviours. how i felt during the performance ? it felt a bit strange to be there and pay attention to looks men were giving . in the begining i wasn't really sure if i had understood the purpose of the performance till there were some guys who weren't merely staring at us out of curiosity. During the performance we were demanded to stand alone or in a group. standing in a group is definately very powerful, because of the energy that comes out of the group. i think that the idea of giving the explicative pamphlet after holding on to their looks was super positive and i was amazed by the response of the men who we gave the pamphlet to.